To finish off with our theme of recent posts on car insurance excesses I thought we should give a brief explanation today of what the term ‘compulsory excess’ means. What does the term compulsory excess mean? A compulsory excess is an amount which is set by your insurance company which you will have to pay in the event of a claim being made. This amount is non-negotiable and it cannot be lowered. Any voluntary excess you add to your policy in an attempt to lower your insurance premium will then be added to this compulsory excess in the event of a claim. Let’s consider a simple example to illustrate. Let’s say you have written off your vehicle and you are having to make a claim on your car insurance policy to replace it. The insurance company values your car at £2000 and your insurance policy has a compulsory excess of £250. In this case you would receive an insurance cheque for the amount of £1750. What though if you added a voluntary excess of £250 to the policy when you took it out in an attempt to lower your premium? Well in this case you would receive a cheque for £1500, £2000 minus the £250 compulsory excess minus the £250 voluntary excess. This would effectively leave you with two options. You would either have to find the money to make up for the excess shortfall to replace your vehicle like for like, or you would instead need to shop for a cheaper vehicle. So to recap, a compulsory excess is an amount which the insurance company will deduct from any claim you make and this figure is non-negotiable. 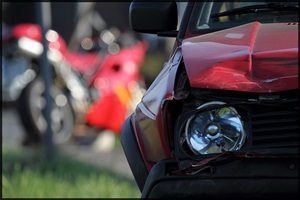 Why do car insurance companies add an excess to your policy? Excesses are put in place by car insurance companies to discourage you from making a claim for minor things which you could probably afford to fix yourself. Scratches to paintwork, a damaged wing mirror or a broken light are all examples of minor things which could fall into this bracket. It may sound a little bit unreasonable that car insurance companies try and get out of paying for minor damages like these but if you really think about it you will see that it is probably a good job that they do, as the cost of cover would be quite astronomical and almost not affordable if they were to pay out for every single minor accident or slight bit of damage to a vehicle. The cost of car insurance is expensive enough as it is for most people, so if insurance companies were to do away with compulsory excesses then this might mean that some people could not afford to drive at all, especially young drivers and those who have minor driving convictions. Deciding on whether to add a voluntary excess to your compulsory excess is a subject that we have discussed recently and there are many possible variables which may affect your decision. When you consider the example above it is good to have a long hard think about whether you could raise the cash to plug any shortfall in the event of a claim or instead would you be happy to purchase a cheaper vehicle? If the answer to both of these questions is a firm ‘no’ then it may be wise to stick with your compulsory excess and stomach the higher premium instead.